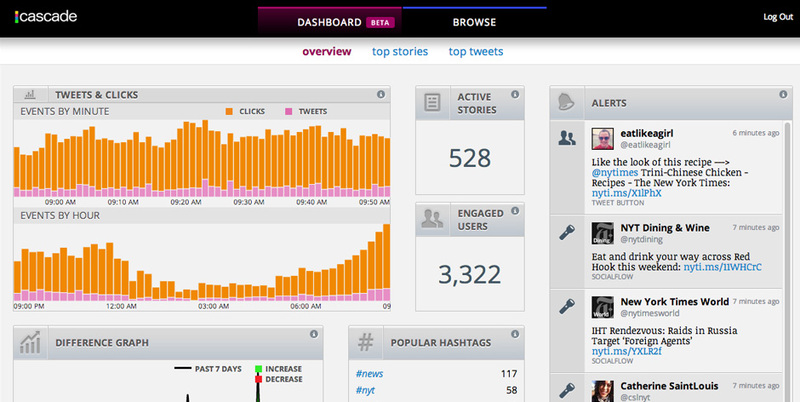 Cascade Dashboard: See up-to-the minute data and custom alerts on your content's social activity. Cascade Dashboard: See where clicks are coming from with geo and source data. 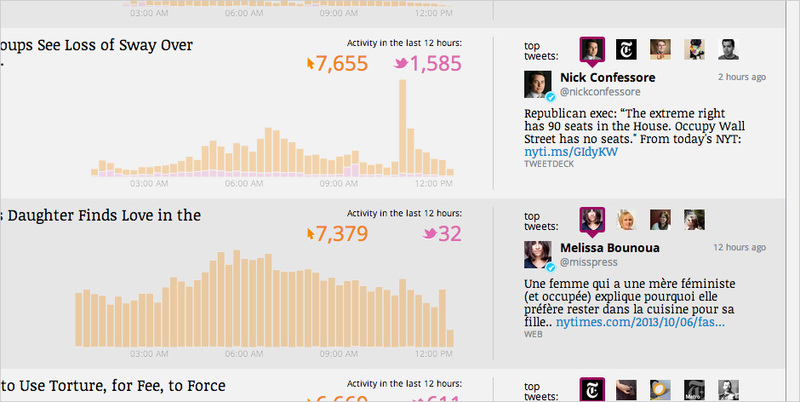 Cascade Dashboard: Trending stories and tweets. Cascade Dashboard: Highlights and live alerts. 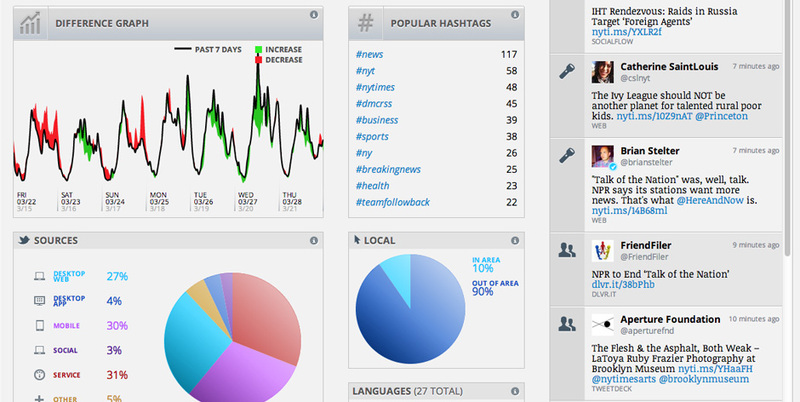 Cascade Dashboard: Trends, hashtags and click sources. 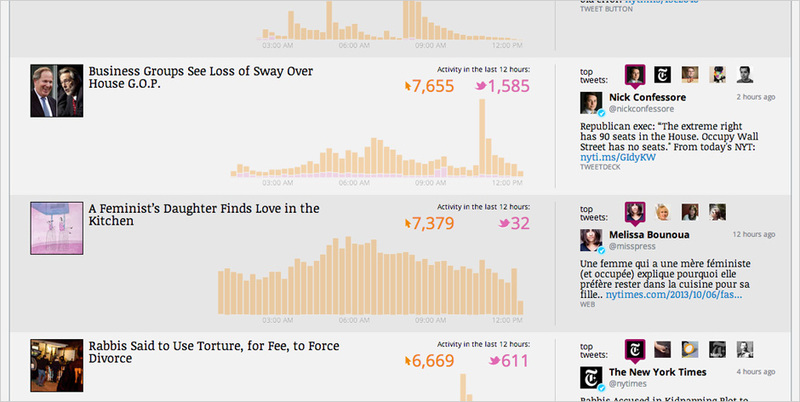 Cascade Is A Simple Twitter Dashboard For News. 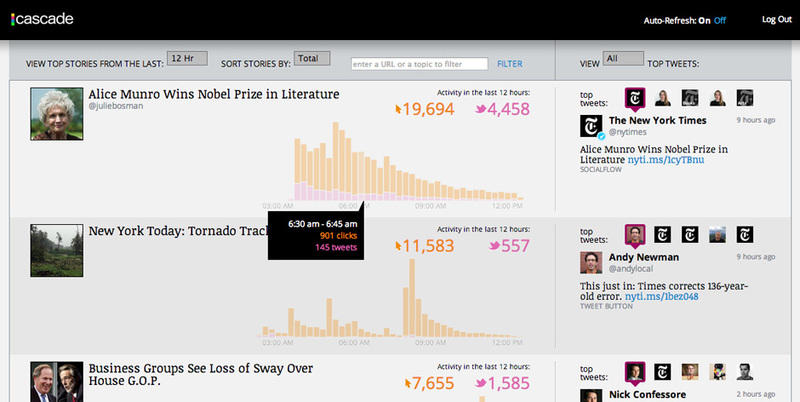 It helps the New York Times understand what's trending and who the most influential people are who share their content. The Cascade API is currently being used to show trending articles on the NYTimes.com HTML5 app, the iPhone app and by the ad sales team to sell ads against trending content. Cascade went through a lot of iterations in its short journey as a product. Before its current form as a trending dashboard (which I designed) and API, we explored what it would take to create a full Twitter analytics platform that would reveal best practices, highlights and influencers for publishers. During this process I created user stories, product roadmaps, feature prioritization, UX wireframes, UI designs and pitched this work in team meetings.